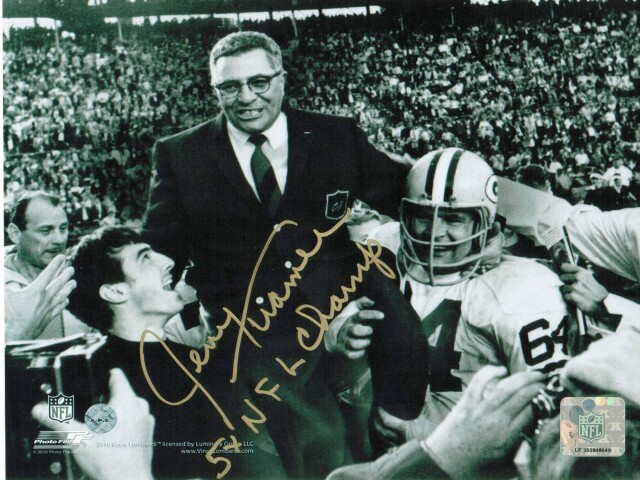 Jerry Kramer Green Bay Packers Autographed 8x10 Photo Inscribed "5X NFL Champ"
Jerry Kramer Green Bay Packers Autographed 8x10 Photo Inscribed "5X NFL Champ". This Great Collectible Is Accompanied By A (COA) Certificate of Authenticity From Athletic Promotional Events. Also, AutoGraphCity.com Guarantees All Memorabilia To Be 100% Authentic. All Items Comes With FREE Ground Shipping Within The Continental US.